Want your own place but don't want the responsibility of maintaining it! 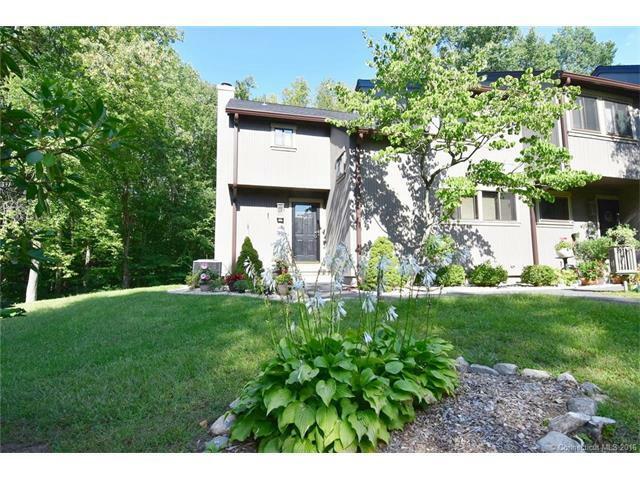 Tucked in the Berkshire Hills this Woodlake condo may be just what you need. Enjoy Condo Living! This Beautiful end unit Homestead with 3 bdrm, 2.1 bath, has much to offer: Living room with Fireplace, Dining Area, Kitchen with spacious eat-in area, upgraded Powder room, New carpet installed in bedrooms, vanities upgraded in both upstairs Bathrooms, Finished lower level (14x27) Family Room. Additional insulation in the attic, New Heat pump. 11x12 Priv.Deck, Flower beds upgraded around the front & side of condo. Condo backs up to the woods for extra privacy. Closest garage to the unit. Lots of amenities to choose from.